Super Mario Bros. turns 30 this year. I still love the game, as it was my first Nintendo game, and I spent endless hours trying to beat the stupid thing. Today, I have a treat for you: Eight excellent tips, tricks, and weird glitches in the game. Robin Mihara in front of some very collectible games; photo courtesy of Mihara. These are all performed by gaming superstar Robin Mihara, who came in third at the Nintendo World Championships (NWC) in 1990, in which Super Mario Bros. was one of three mini-games performed onstage. Recently, Mihara starred in the documentary Ecstasy of Order: The Tetris Masters (2011)—featuring another game in the NWC pantheon. Okay, this is amazing, but complex. Watch the video for an example, but the gist of it is if you are any version of a "Big" Mario, Luigi, etc. (including Fire versions), and you hit any of the mini-Bowsers (anything before World 8-4) at the same moment you hit the axe, a glitch occurs. Long story short, on the next World you need to get a Mushroom (which makes you small! ), then a Fire Flower, which of course makes you Small Fire Mario. The fun part is when Small Fire Mario spits out a fireball—he briefly becomes regular Fire Mario. While you can do this on lots of levels, I recommend World 1-4 because the necessary power-ups are available early in World 2-1. This is epic. If you do a special crouch-jump on World 1-2, you enter a glitched-out Warp Zone that brings you to "World -1," a water world identical to World 7-2. The only difference is that you can't win; you just keep swimming until you run out of time...even if you reach the pipe. Brutal and weird. 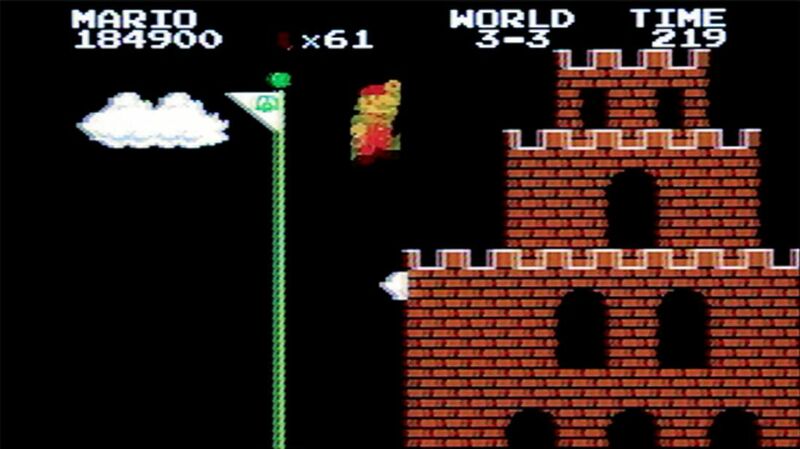 For more Super Mario Bros. glitches, check out the Super Mario Wiki list of glitches. You might also be interested in my article Will the Real "Super Mario Bros. 2" Please Stand Up?